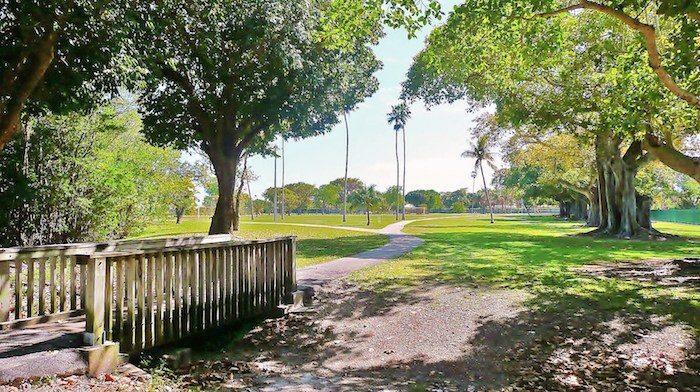 Situated between Miami and Hollywood, Amelia Earhart Park is a good destination spot for those who’d like a longer off-road running opportunity. This 515-acre park contains 5 lakes and several miles of trails that are great for running. A perimeter loop of the park is 4 miles. This park is also popular for mountain biking, so please use caution. west of the park is very pleasant for running, with windy, low-trafficked roads.